As Commencement weekend wound to a close on the afternoon of Sunday, May 21, more than 50 graduates of the SUNY New Paltz Honors Program came together with family, faculty and friends at a special celebration of their outstanding scholarship. 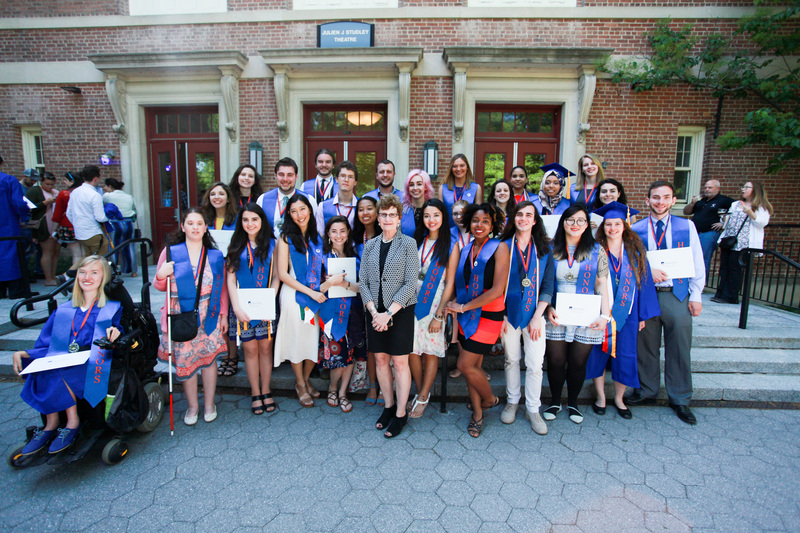 The Honors Program is an option available to New Paltz students who wish to challenge themselves in their pursuit of personal and intellectual development, through participation in interdisciplinary seminars, fulfillment of service and independent study requirements, and dedicated work on capstone thesis presentations. This year’s Honors graduates researched and presented theses on topics including the diagnosis and treatment of ADHD; the business impact of marketing in professional basketball; ways of incorporating comic books into elementary curricula; and the interaction between memory and digital technology. Others presented creative projects in media including documentary film, graphic design and children’s book illustration. The event served as yet another illustration of the Honors Program’s singular ability to help exceptional students reach their full potential at SUNY New Paltz. More information about the Honors Program is available online.